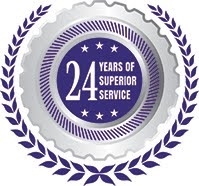 Presto Restoration Products & Services specializes in window glass restoration in Fort Lauderdale. Our services include the removal & prevention of exterior window glass stains, streaks, spots & scratches for commercial multi-story buildings in Fort Lauderdale Florida. Presto has been performing window glass restoration services for Fort Lauderdale's commercial buildings for over 24 years. Over a decade ago we created our own chemical product line that produces the finest window glass restoration quality and is the longest lasting option in the industry against preventing window stains and scratches from returning. We specialize in large mutli-story buildings in Fort Lauderdale and surrounding areas that require specialized exterior window glass restoration services to remove difficult to remove stains, spots, streaks and scratches. Presto performs restoration and protection of precast concrete stone and all types of architectural metal surfaces as well as window glass restoration for commercial buildings in Fort Lauderdale.